Among the several IQ (Intelligence Quotient) tests, Raven’s Standard Progressive Matrices™ is widely used for research and applied settings. By age 5, most children in America are given some kind of intelligence test, so you will want your child to be familiar and comfortable with the material that will be covered. First, you want to teach and familiarize your child with the skill of working with figure matrices. Figure Matrices questions are created to stretch a student’s logic muscles, forcing him to examine a complex series of figures and see how they progress and fit together. Students learn how to complete figures, which helps with other subjects in school, such as vocabulary, math, and geometry. How does the test progress? On Raven’s Matrices test, a student will be asked to find the missing pattern in a series. 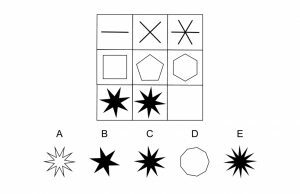 In this test, the questions will get progressively harder for the child, which requires greater cognitive capacity to encode and analyze questions. What is the format of the Raven’s Matrices Test? 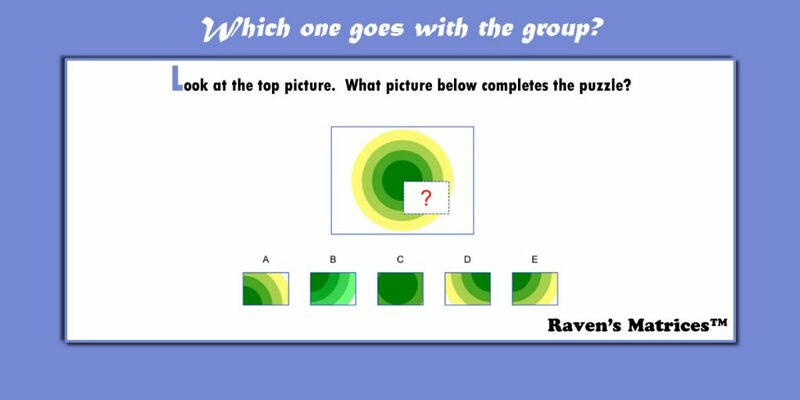 Raven’s Matrices is a non-verbal group test. 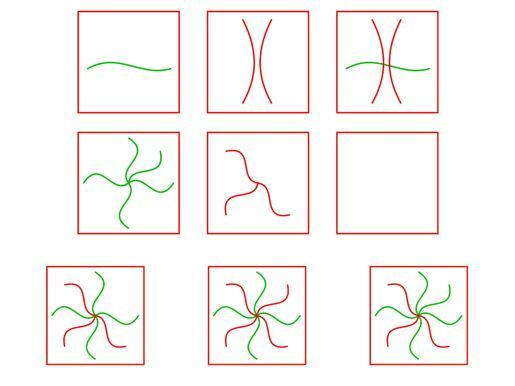 It is usually a 60-item test used in measuring abstract reasoning and regarded as a non-verbal estimate of fluid intelligence. 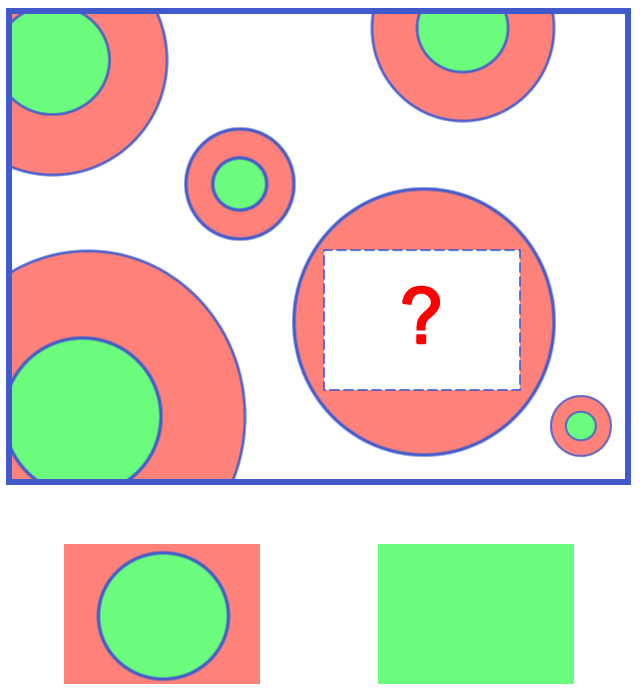 Many patterns are presented in the form of a 6×6, 4×4, 3×3, or 2×2 matrix, giving the test its name. All of the questions on the Raven’s progressives consist of visual geometric design with a missing piece. 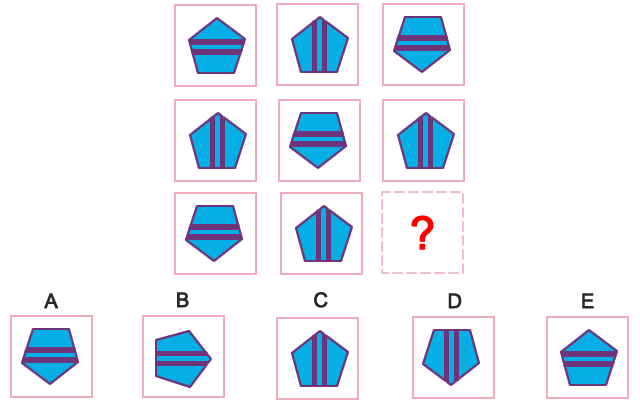 The test taker is given six to eight choices to pick from and fill in the missing piece. 1) Colored Progressive Matrices This is the easiest of the Raven’s Progressive Matrices™. It is for younger children (ages 5 – 11), older people, and people with learning issues, these are presented with a colored background to make them more visually stimulating. The hardest items are in black and white. There are 36 questions. The test takes 15 to 30 minutes to administer. 2) Standard Progressive Matrices These are more difficult than the Colored Progressive Matrices. It is for children and teens ages 6 – 16. There are 5 sets of 12 items each (60 questions total) with each item becoming progressively more difficult. These are black and white. The test takes 40 – 45 minutes to administer. 3) Advanced Progressive Matrices – These are the most difficult of the Raven’s Progressive Matrices™. This set contains 48 items – a set of 12 and another set of 36. They are black and white and become increasingly harder as progress is made through the sets. These are for adults and teenagers of advanced intelligence. The test takes takes 40 – 60 minutes to administer. Here are a couple of practice questions to get your student started. What comes next in the progression on the bottom, based on the progression shown on the top? What is the Raven’s Matrices Test?